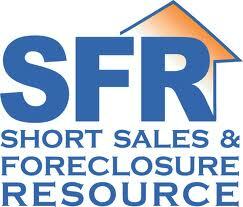 Why Short Sale Instead of Foreclosure? Do you need to Short Sale your home in Nutley, Belleville or Clifton? The very first thing that you must do to stop foreclosure is face the situation and know that you are not alone. Foreclosure can happen to anyone and is nothing to be embarassed about. Despite that, you must take action soon, because each day that you do not deal with it and find help, you are risking the loss of your house to foreclosure. Coupled with that, you can face other issues…the lender can sue you if the home sells for less than owed, your credit can be impacted negatively and you can face tax problems with the IRS. majority of your defaulted amount onto the back end of your current balance or spread the arrears into the life of the loan. Or, you could place your home on the market now to avoid possible foreclosure and this is where I can best help you. 1. Not all lenders will accept short sales or discounted payoffs, especially if it will make more financial sense to foreclose. 2.Real estate agents are not licensed as attorneys or CPAs and should not advise on the consequences of the legalities and/or tax ramifications of a short sale.